You will always want to make sure that you have a reliable and safe car to drive. Without it, you will not be able to reach your destination on your specific time schedule. You will want to bring your vehicle in regularly so we can inspect it for you. This can include the tires, oil changes, other fluids, the windshield wipers, as well as other parts of the vehicle. If you are not sure how often to bring your vehicle in for maintenance inspections, you can contact us. We will advise you on the appropriate schedule that your vehicle needs, so that you can keep it working at top efficiency levels. If there is ever an issue with your vehicle, make sure to bring it in at the first sign. By catching the issue right away, you can help to save time, money, and stress in the long run. It will also help prevent further damage from occurring to the vehicle and other parts. An important task is to have the oil changed. 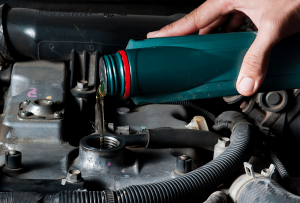 Having oil changes done will benefit the engine and other parts under the hood. The oil helps to lubricate the moving parts so they work efficiently with one another. This also helps prevent grinding and further wear and tear to these parts. If the oil gets too low for your vehicle, the engine will not have the proper lubrication that it will need to move the parts effectively. If you are not sure when the oil changes should be done for your vehicle, we can advise you on the correct schedule. Regular maintenance also helps to improve the fuel efficiency of your vehicle as well. This is because the parts and components will work properly with one another so the vehicle uses less strain and stress. This can include having the tires inspected and also rotated. Having tires that are in the best condition can help your vehicle travel smoother and handle better as well. An issue with the steering could be with the steering column, the axle, or the tires. So make sure to schedule an appointment with us to inspect it.